Micrographs of plant cells and tissues, with explanatory text. This web site is being developed as supplemental material for people studying plant anatomy. Its objective is to provide light micrographs of the types of cells and tissues that students typically examine in a plant anatomy course. All micrographs are accompanied by figure legends to help the viewer interpret and understand the structures presented. Wherever possible, the microscope slides that were photographed were obtained from companies such as Triarch or Carolina Biological so that they will be similar to slides that students are examining in their college courses. This web site is designed to complement a plant anatomy course, whether that is offered through a college or through individual study at home. The descriptions here emphasize objects and concepts that might arise as a person examines samples of plant tissues, and theoretical topics are given less attention. For more comprehensive treatment of all details and theories of plant anatomy, the viewer should consult a plant anatomy text. This site is being developed by James D. Mauseth in the Section of Integrative Biology, School of Biological Sciences at The University of Texas, and the site’s organization follows his textbook Plant Anatomy. 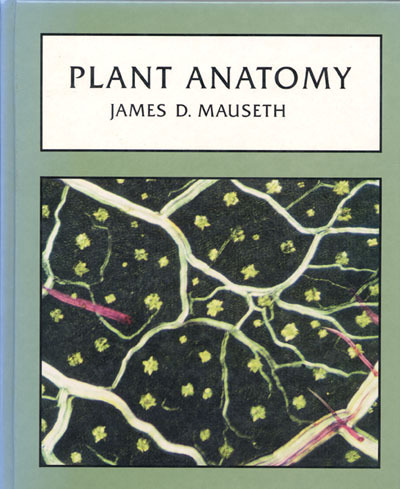 This site is organized into 21 chapters with the same titles as those in the textbook Plant Anatomy by J. D. Mauseth. Each chapter in this web site consists of numerous pages, each with a micrograph and an explanatory text. Where appropriate, some micrographs can be enlarged by clicking on them. Many parts, especially the later chapters, are currently under construction (spring 2001). From time to time, even the “finished” chapters will have more micrographs added to them, and when improved images become available, they will be inserted to replace current micrographs. Additions and improvements will be flagged as “new.” Viewers are welcome to re-examine the site as often as desired; hopefully, it will be more informative and enjoyable each time. Suggestions to improve the site are welcome, and feedback that points out errors and ambiguities will be appreciated.